Beautiful, dark, and deep. A feeling of mystery mixed with comfort. An unfamiliarity tangled in ease. My emotions are on high alert as I sit inches below the ground in what is known as a kekuli, a pit-house traditionally used by the First Nations people in the interior of British Columbia. It is a place of hospitality, a place of protection from Mother Earth’s elements. I am moments away from taking part in my first smudging ceremony, one of the many cultural offerings at Quaaout Lodge & Spa in Chase, B.C. Tanner Francois, a young member of the Little Shuswap Lake Indian Band, leads the ceremony. Cut from his garden that morning, the burning sage in a shell bowl becomes a cleansing smoke. As Francois begins to pray to the smoke and to the creators above, an invitation of peace is offered. One by one, those who sit in the kekuli are smudged. When the smoke reaches me, I stand up to be cleansed. Using an eagle feather to fan and bathe me in sage, Francois offers me clarity, strength, and wisdom from the creators. I am in awe of the moment, slowly letting go of the anxieties attached to daily life. In mind, body, and spirit, I feel connected to the space in which I stand. It is an experience unlike any other. 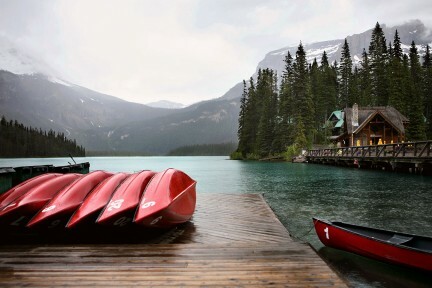 An experience special to Quaaout Lodge. 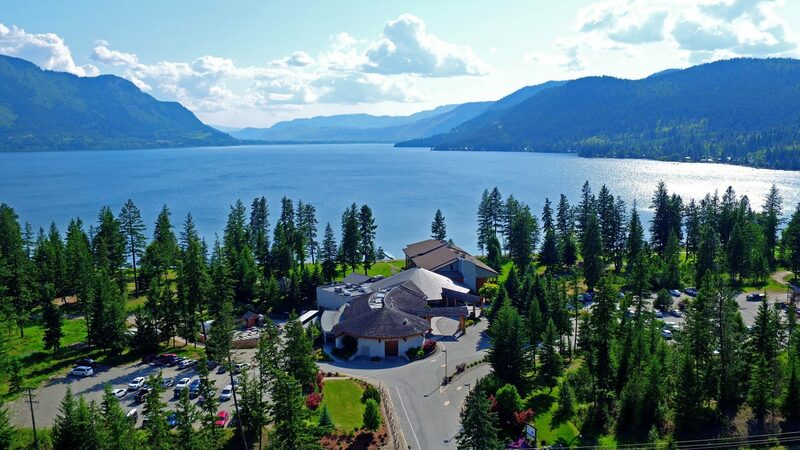 Overlooking over 1,800 feet of Shuswap region beachfront, Quaaout Lodge & Spa At Talking Rock Golf Resort radiates a proud heritage that has kept locals and tourists coming back for 25 years. 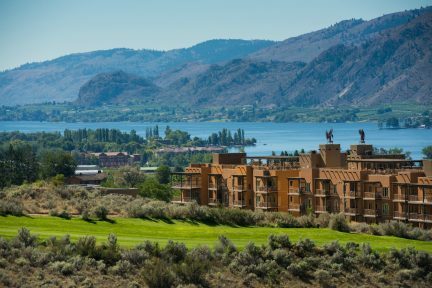 Midway between Vancouver and Calgary, and east of Kamloops, the lodge features a conference centre, spa, and 18-hole golf course. 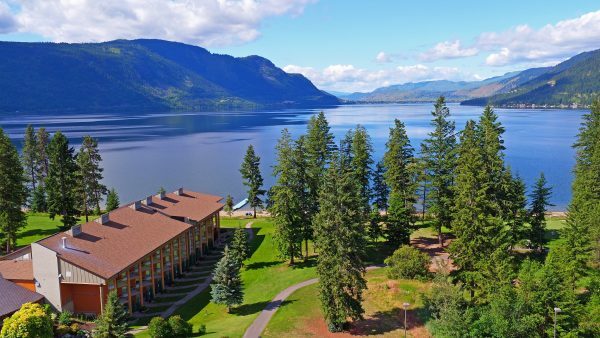 But what makes Quaaout such a special destination is the cultural projects developed here, alongside the chief and council of the Little Shuswap Lake Indian Band, to allow guests to learn about the history and people of the area they are visiting. The man to thank for allowing guests to embrace Indigenous culture is Frank Antoine, cultural liaison at Quaaout. After munching on fresh bannock, I hop in a golf cart with Antoine and we zoom through Talking Rock’s trees. “There is a lot of history here, and a lot of things to see,” Antoine says as his long braid flows behind him. “I tie the culture into the business.” First hired on as a golf assistant pro 10 years ago, Antoine has since helped shape the guest experience at Quaaout, charming all those who are lucky enough to encounter him. 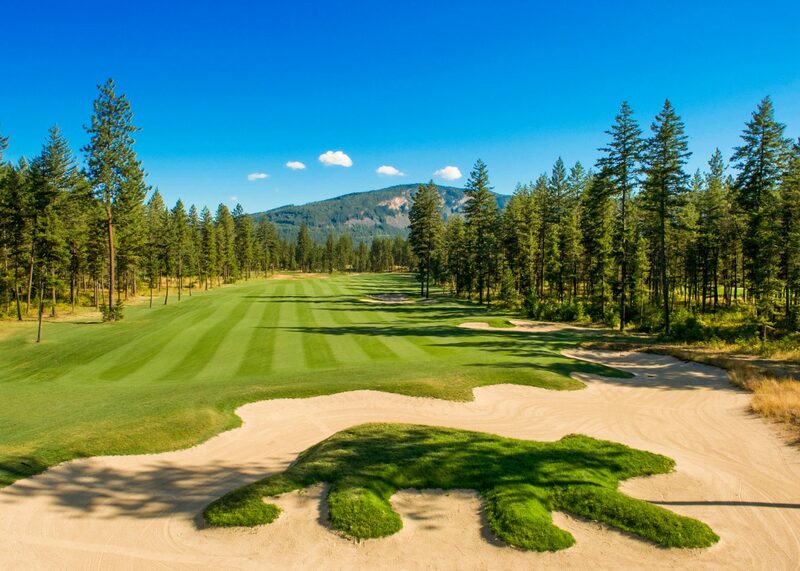 As we drive from hole to hole, even passing a sand trap in the shape of a bear (the symbol of the Shuswap nation), Antoine’s love for the sport and the course shines through. Undoubtedly, Quaaout has become a home for Antoine. And a home for his son, Tanner Francois, too. The father and son (or “working son” as Antoine likes to put it) are sure to be among the highlights of a stay here. 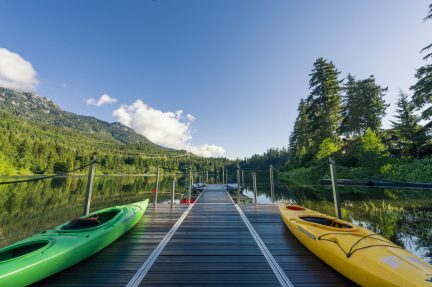 Beautifully spoken, the duo allows for their culture to be carried on and revitalized through the lodge, coordinating events like berry picking, canoe tours, sweat lodges, medicinal plant harvesting, and of course, smudge ceremonies. At Quaaout, culture is present in everything. Back inside the lodge, 70 guestrooms, renovated in 2010, await. 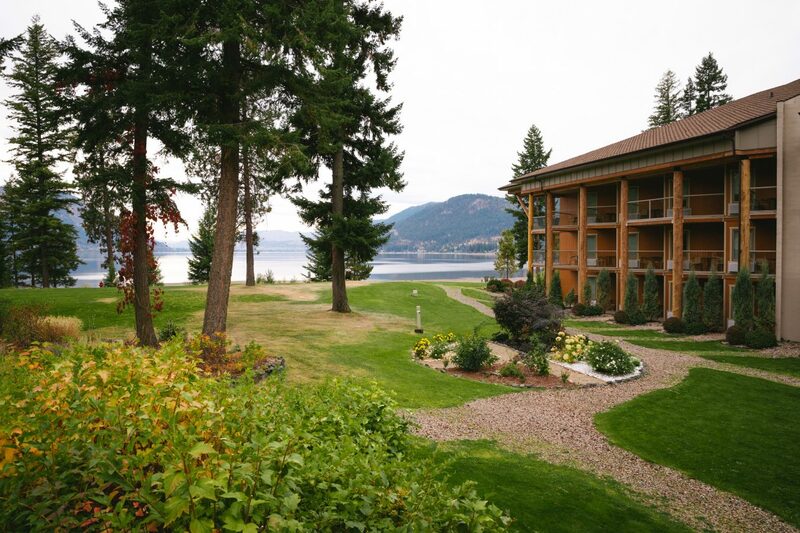 Among the most notable are the lake-front Jacuzzi rooms equipped with warm fireplaces. 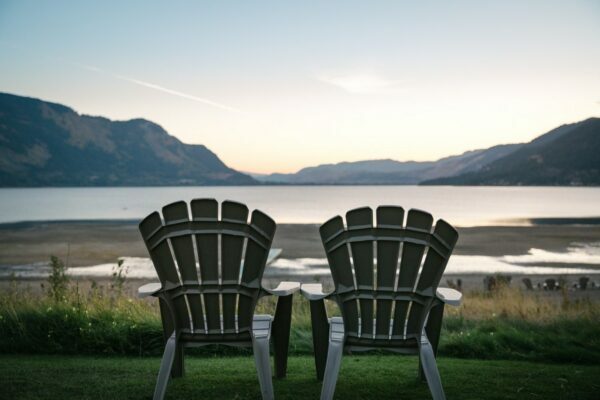 Enjoy the comforts of a soak, gazing out onto the lake and taking in the morning reflection on the water or the setting sun over the mountaintops. For further relaxation, the Le7Ke Spa is just steps away. In the Secwepemc language, Le7Ke means “I am good,” so allow for rejuvenation and renewal, leaving stresses at the door. Fuelled by Eminence Organic Skin Care, the European-meets-Aboriginal spa values potent healing and body nourishment. 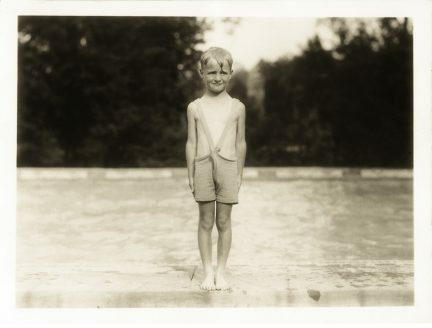 Guests are also welcome to use the spa’s pool, hot tub, steam room, and sauna. 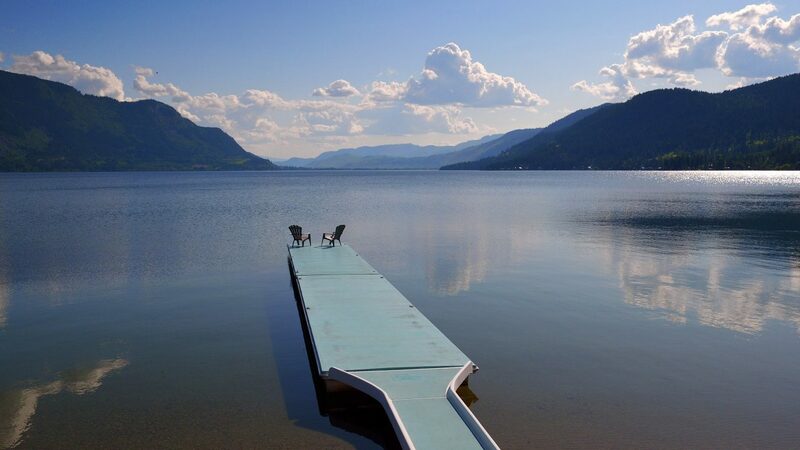 Before I pack my bags and say goodbye to the new friends I have made at Quaaout Lodge, I wander down to the shores of Little Shuswap. On this particular autumn morning, only few visitors are spotted walking along the lake. I head towards the baby-blue boardwalk and am met by a gentle breeze. There is a spirit here—one of community and kindness, tradition and honour. I am leaving Quaaout Lodge with a cleansed mind and a full heart.